Quick = is for quick release lever – make sure it’s tight! Check = take a quick ride to check it all before you go on your next bike adventure! With many students heading back to school this week biking is a great way to get some exercise, be green, and avoid the traffic and congestion of a long bus ride to school. Whether you’re a parent getting your kids on their bike to get to school or someone who will be responsible for your own bike and adventure, it’s important to remember the key safety rules for biking. You can check these basics in the HaveFunBiking digital Minnesota Bike/Hike Guide on page 60-61. If you have our print copy, check it out on page 30. 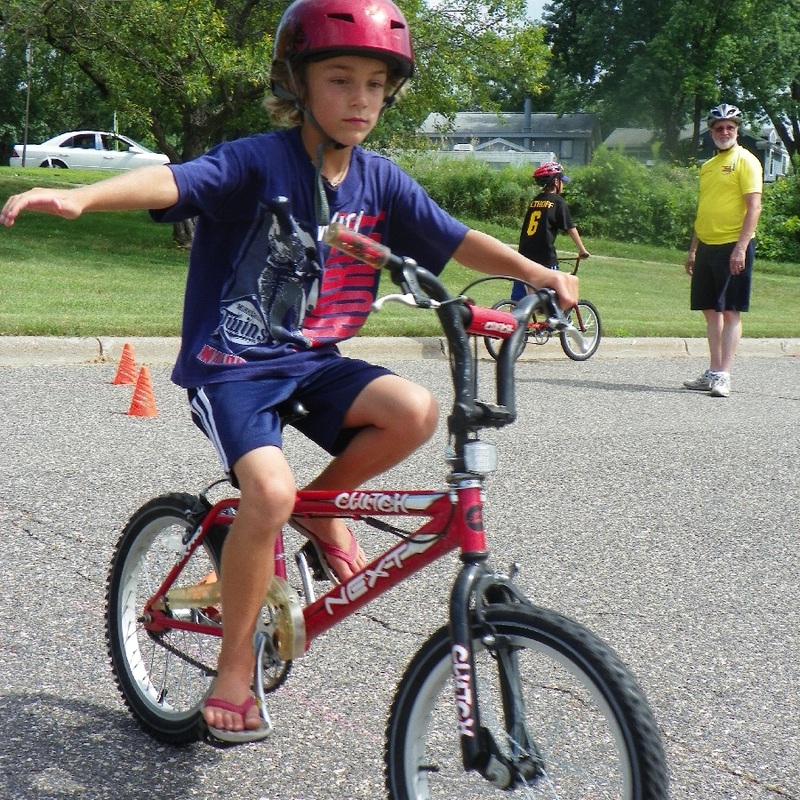 Help with a Wise Bike Wednesdays bike rodeo training course, lead by instructors of BikeMN, so biking to school is fun. 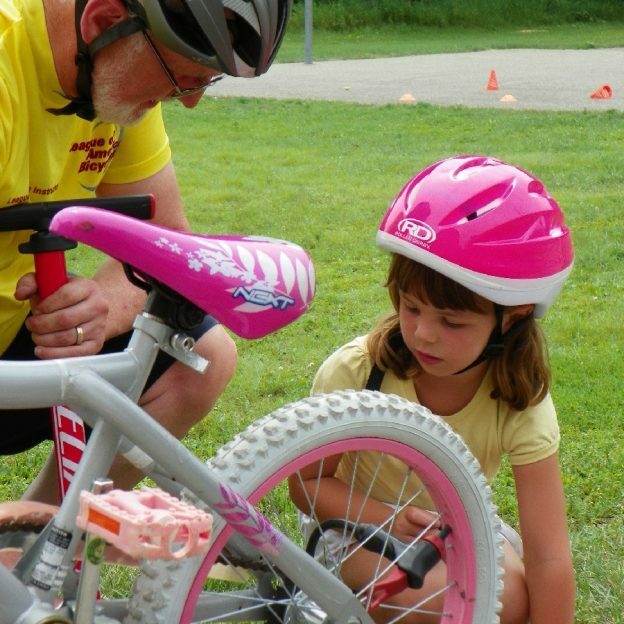 Thanks for viewing Wise Bike Wednesdays, here at HaveFunBiking. Now rolling into our 10th year as a bike tourism media, our goal is to continue to encourage more people to bike and have fun. While showcasing all the unforgettable places for you to ride. As we continue to showcase more place to ride to and have fun we hope the photos we shoot are worth a grin. 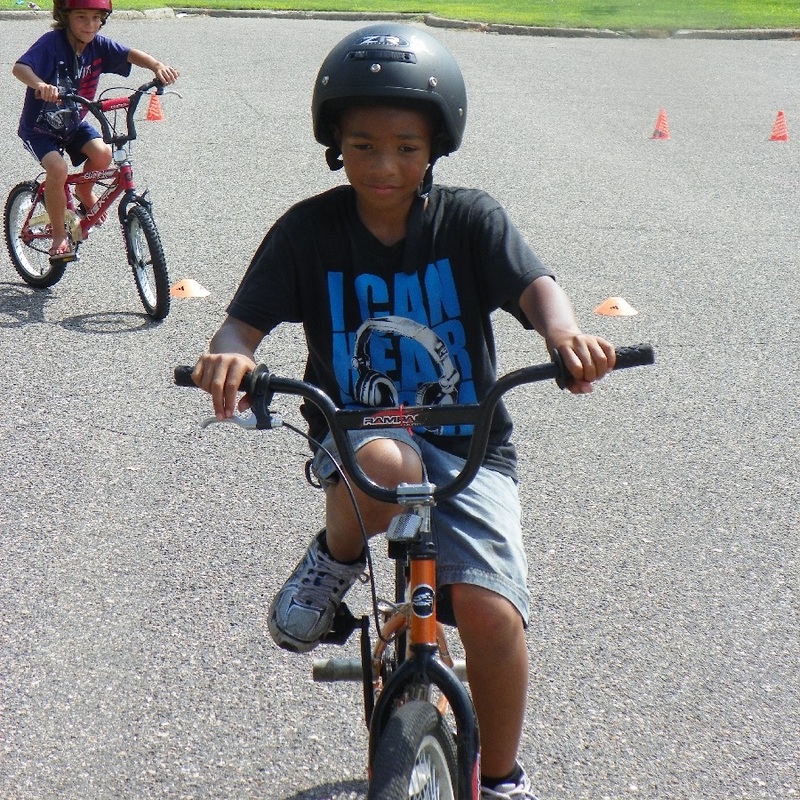 This entry was posted in News, Picture of the Day and tagged #nextbikeadventure, #onlyinMN, #saferoutestoschool, #wisebikewednesday, bicycle abc's, Bicycle Alliance of Minnesota, bike safety, BikeMN, HaveFunBiking on September 7, 2016 by Russ Lowthian.